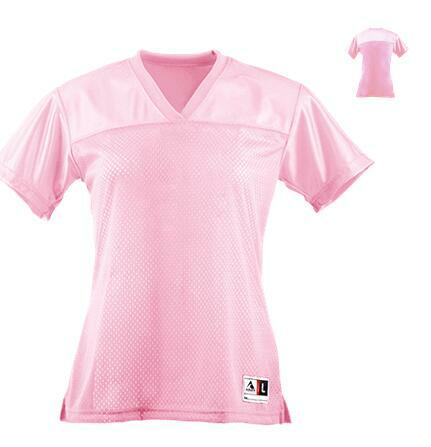 This womens football jersey is perfect for your powder puff football game. Best of all, you can add player names and a team logo to them right online. This ladies jersey is a junior ladies cut, so if your a lineman, or linewoman, size up one size. These womens cut football jerseys are made of 100% polyester tricot mesh with 100% polyester dazzle yoke and sleeves. Junior fit-not intended to be worn with pads. Rib-knit modified V-neck collar. Set-in sleeves and outside locker label. Double-needle hemmed sleeves and bottom. Check my blog too and suggest something.